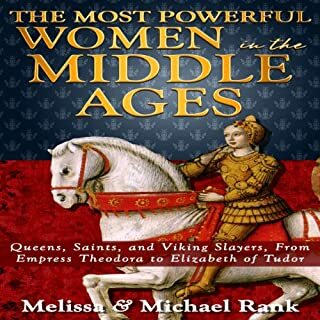 The idea of a powerful woman in the Middle Ages seems like an oxymoron. Females in this time are imagined to be damsels in distress, trapped in a high tower, and waiting for knights to rescue them, all while wearing traffic-cones for a hat. After rescue, their lives improved little. Their career choices were to be either docile queens, housewives, or be burned at the stake for witchcraft. But what if this image of medieval women is a complete fiction? It turns out that it is. Powerful female rulers fill the Middle Ages. Not a bad summary of these lives. There are times when things are simplified to the point of portraying incorrect facts. It also missed out a lot of other women from the same period just as, and in some cases, more impressive than the women portrayed. Not bad but missed its potential. 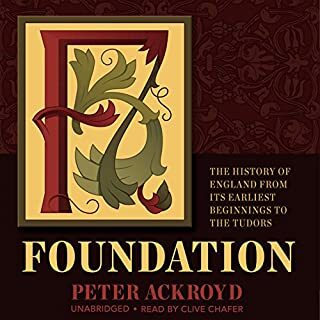 A great book on the early history of England. I found it too detailed in the descriptions of things like the housing, forests, etc, instead of the actual events. Great for some with the interest just not for me. However, it still does a good job covering the events. I did find I had to speed up the audio as the narrator spoke in almost a droning voice. 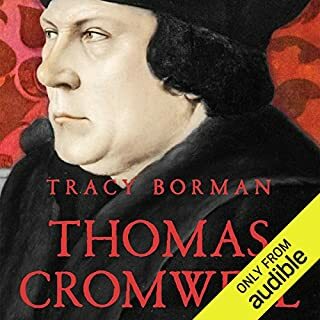 Very good investigation into the life of Thomas Cromwell. Some unrelated information is not entirely accurate. However, this inaccuracy does not take away from the fantastic narrative put together by the author. Very interesting to get an honest and reasonably unbiased very of Cromwell. Narrator was good but mispronounced some words, especially names. 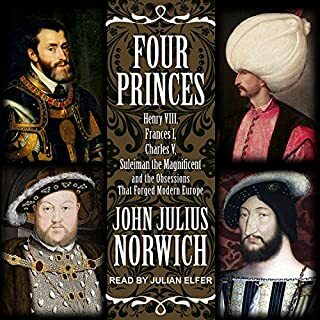 John Julius Norwich - whom the Wall Street Journal called "the very model of a popular historian" - has crafted a big, bold tapestry of the early 16th century, when Europe and the Middle East were overshadowed by a quartet of legendary rulers, all born within a 10-year period. Against the vibrant background of the Renaissance, these four men laid the foundations for modern Europe and the Middle East, as they collectively impacted the culture, religion, and politics of their respective domains. For the most part, very informative. Fantastic story! Fascinating period of history and to have the interconnections of the major players of this era is fabulous. Norwich asway does a fabulous job. Had a few moment when the pronunciation by the author annoyed me but easily overlooked. Though it's often forgotten today, Robert the Bruce was a bit shiftier, if only out of necessity. 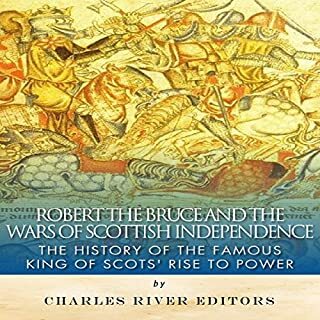 Robert the Bruce has become a figure of Scottish national legend, renowned as the man who threw off the shackles of English oppression. Prior to 1306, this Anglo-Scottish nobleman did little to cover himself in glory or to earn a reputation as a hero of the national cause. A member of one of Scotland's leading noble families, Bruce inherited his grandfather's claim to the right to be king of the Scots. Seemed more of a history of Wallace and Edward I than of Robert the Bruce. I can understand people need context but it still felt like the book didn't say enough about the topic it was supposed to cover. Still a good book though.